One of these three apron styles are sure to be perfect for the cook on your gift list. Aprons are 32 in. long and 27 1/2 in. wide with an adjustable neck strap, two front pockets, ribbon edge and ruffled trim. 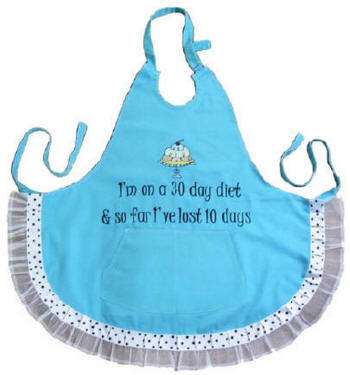 Sayings and designs are embroidered on apron bib. 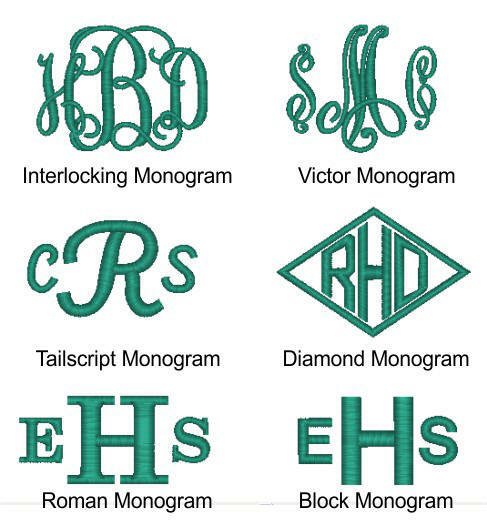 Additional embroidery of a name or monogram make this the perfect personalized gift. 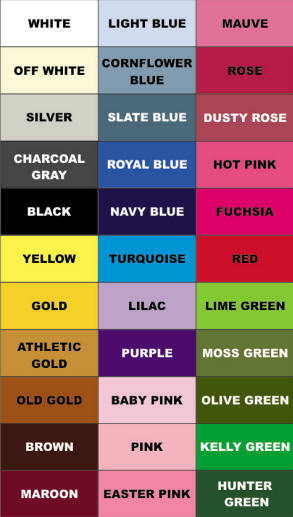 All aprons are cotton, machine washable. Apron embroidered with a cake design and the saying I'm on a 30 day diet and so far I've lost 10 days. Add an embroidered name for a personalized gift. Can not be combined with other offers or discount codes.